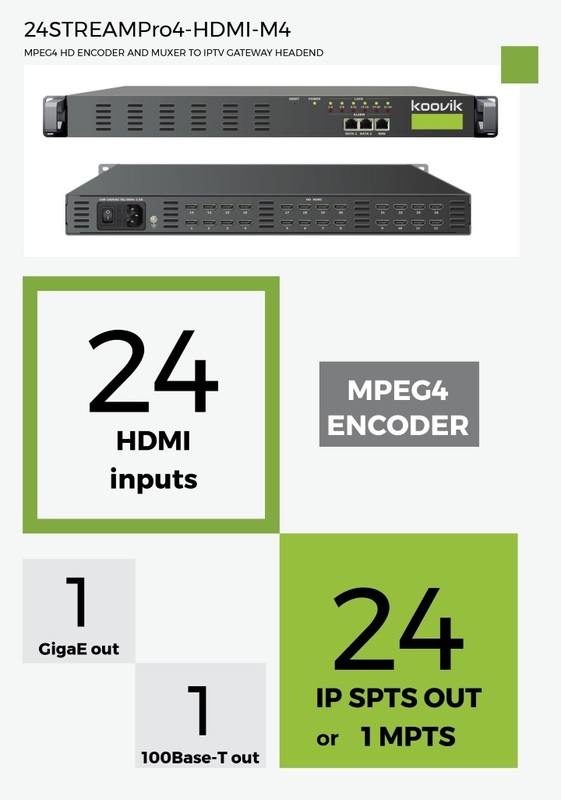 24 HDMI MPEG4 ENCODER inputs and MUXER. 24 IP SPTS or 1 MPTS outputs. IP SPTS 24 SPTS over UDP or RTP/RTSP. Unicast or Multicast. IP MPTS Option: 1 MPTS with 24 x HDMI TS each, over UDP or RTP/RTSP. Unicast or Multicast. included 1 x mains cable, 1 x ground cable, 24 x HDMI cables.